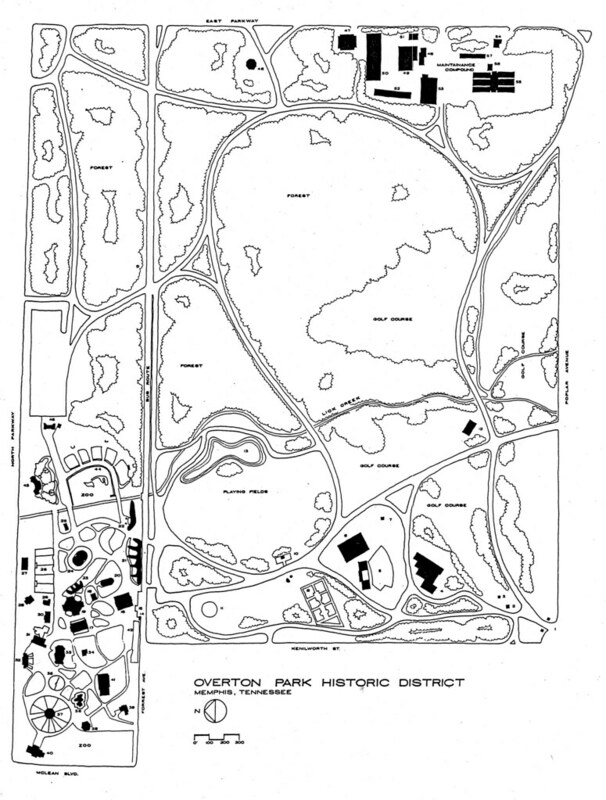 Citizens to Preserve Overton Park: Bonus map! AHA! I just found it. Doing some research on the subject of Teton Treck and the funding for it I came across an interesting statement: In the FEDEXAMINER on 4-24-06( a union publication of FEDEX workers Charles Brady is quoted as saying, that before the gift (of ten million dollars) from the Smiths, plans for the bear exhibit were much more modest... "it's not just a grizzly exhibit, you're going to feel like you are in the Yellowstone basin! 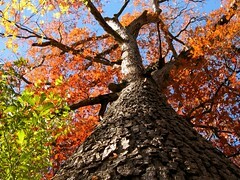 ", he gushed his new and improved vision. It appears as though a spontaneous corporate gift was the reason for the infamous axing of ancient forest trees, not some 'transparent 20-year plan'. let's all hope and pray that the zoo shall not see such financial windfalls again. At least not till the Brady-reign of terror is over. 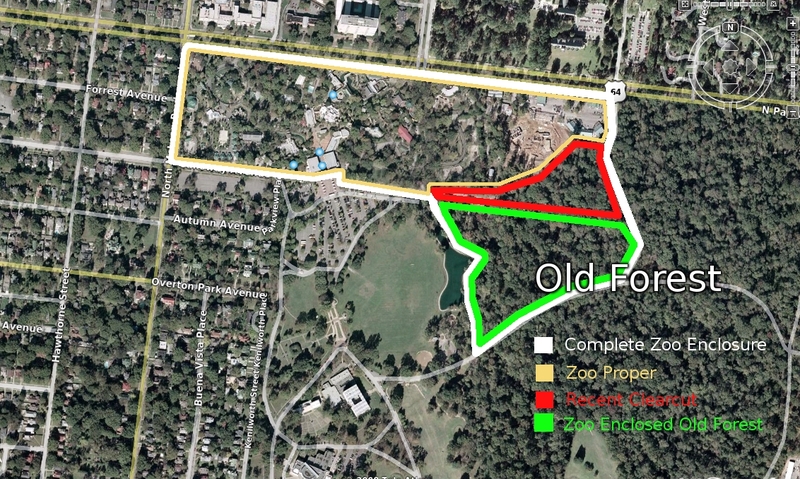 uh-doesn't that map say "zoo expansion" over the area in disputer, backing up their claim that it's been labeled for zoo expansion for 20 years? Yes, we understand that 35 acres of our park were set aside for zoo expansion in the 1988 Overton Park Master Plan. 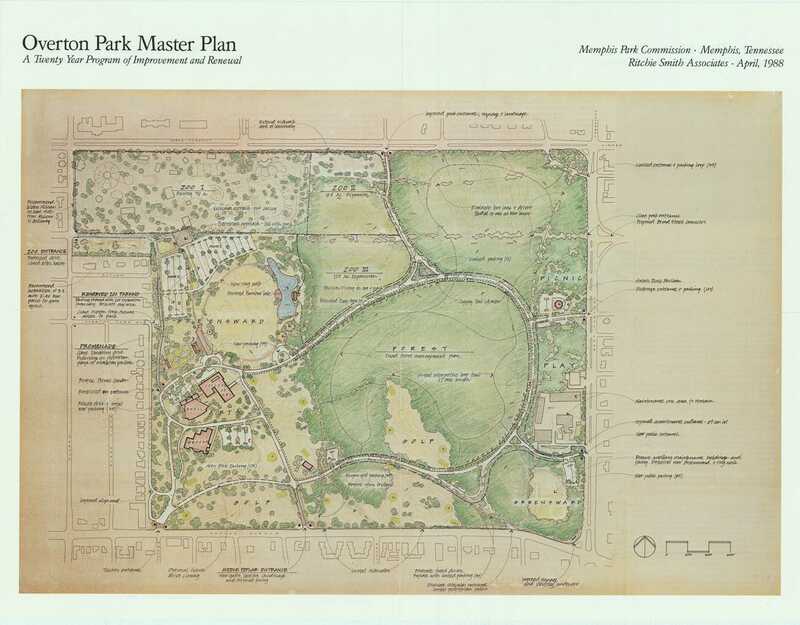 But the Memphis Zoo's spokespeople have claimed repeatedly that the specific exhibits planned for that area have been a matter of public record for 20 years, and that the Teton Trek clearcut was sanctioned by the Overton Park Master Plan. That's the part we dispute. Even if the Overton Park Master Plan had any reference to the Zoo clearcutting the forest (which it does not) this plan was not readily available to the public. The Zoo told us they did not have a copy. 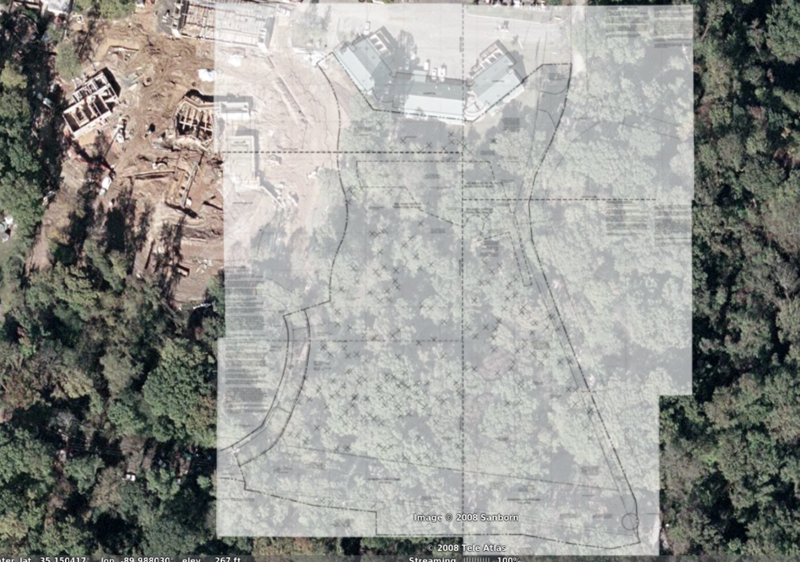 Park Services told us we'd have to make a request through the City's legal department. 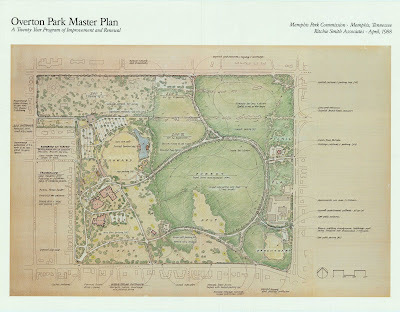 Our copy was obtained from the consultant who prepared the plan. 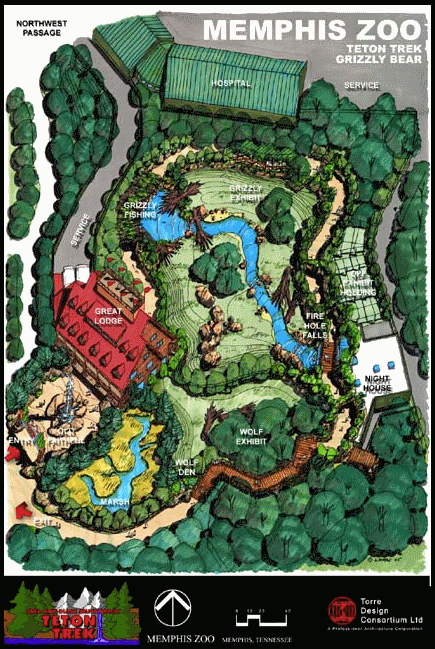 Zoo Expansion claims are 20 years old BUT... with "modest plans" until April 2006, translates into 'bears in wilderness'. Makes sense! Plenty of wilderness, make exhibit, add bears! Then suddenly, the media announce the FEDEX windfall - no more modest approach, but radical new Brady-visions, YELLOWSTONE! No alarm bells yet, still sounds like nature will come out ahead! For God's sake- he said YELLOWSTONE! Meanwhile in the leader's bunker the maps are rolled out: Clean slate, clear-cut all! RAZE, bull-doze, start from scratch! BRILLIANT! Talking hired heads will muddle the discussions with 'the standard talk-track'. No hearings will be held, no permissions sought! 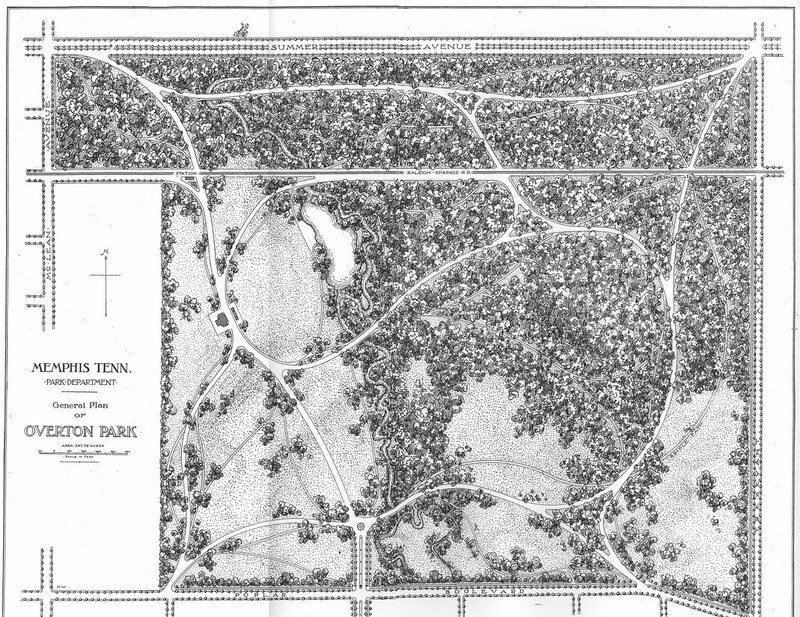 Let's not worry about details - isn't the zoo the darling of the city? We can get away with it!